Sydney College of Dance is offering a professional Full-Time Dance and Transition program for students from the age of 11-20 years. The internationally renowned syllabus - ArtistPro International – optimally prepares pre-professional students for an international career in ballet and contemporary companies. The ArtistPro Full Time Dance and Transition Program (APP) has been created to enable graduates to emerge as complete dancers who are ready to work and succeed in a professional dance environment. The focus of our program is always on the individual. Class numbers are kept small to meet the needs of each student and recognise and nurture individual talent and potential. Regular opportunities to discuss and set long and short-term goals will be an integral facet of the program. Students will be given access to professional guidance regarding auditions, CV preparation, DVD production and portfolio photos. Safe Dance and Injury prevention are important aspects of a professional career. 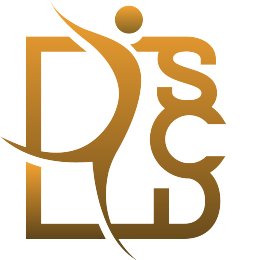 We have an onsite dance physiotherapist and certified Pilates instructor to support and educate students in the management of their physical needs. International Tour 2019/20 - overseas tours and private auditions for students who would like to apply for international schools and audition for companies. Sydney Ballet Theatre Youth Company offers students opportunity to work in a professional company platform.